This accessory for STIHL's FW 20 cart acts as a cutting guide, allowing for more precise cutting in conjunction with the TS range of cut-off saws. 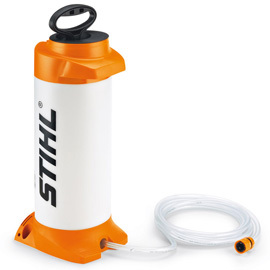 This 10 litre water container is designed as a mobile pressurised water supply in areas where there is no water available, to ensure clean, wet cutting without dust build up. Supplied with coupling as standard. 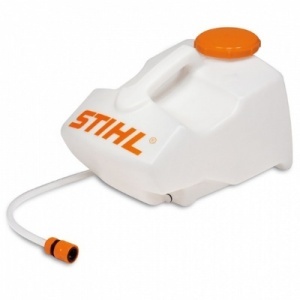 A water container for STIHL's FW 20 cart, this allows you to provide water to your cut-off saw while working. With a 13 litre capacity, plenty even for long jobs. 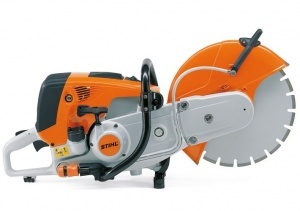 The world's first 9 inch cordless cut-off saw, able to cut swiftly and neatly to a depth of 70 mm. This product is sold as a shell only, with battery and charger available separately. 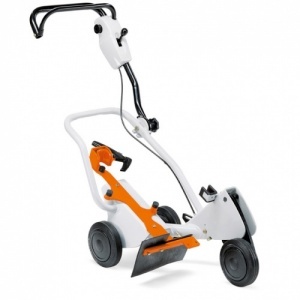 This FW 20 saw cart is perfect at turning all hand-operated STIHL cut-off saws into easily manoeuvrable machines. Includes the Quick Mounting System Conversion Kit as standard. 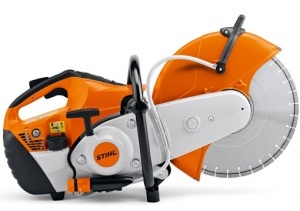 A compact and robust 3.2 kW cut-off saw from STIHL, with a 12 inch / 300 mm cutting wheel, long-life filter system and extremely low vibration levels. 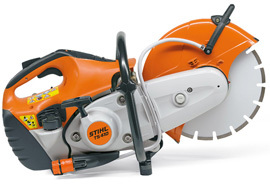 The TS 420 is a compact and robust 3.2 kW cut-off saw, with a 14 inch / 350 mm cutting wheel. Complete with ElastoStart technology, low vibrations and a high performance engine. An innovative 3.9kW cut-off saw with the added benefit of electronically controlled fuel injection, for reliable and consistent high-performance operation. 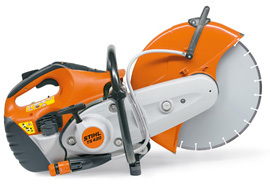 Supplied with a 14 inch / 350 mm cutting wheel. 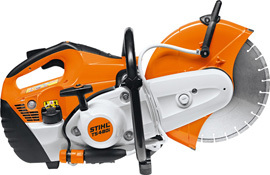 Featuring STIHL's unique injection engine technology for perfect running every time, the TS 480i is easy to start, with powerful torque and comes supplied with a 12 inch / 300 mm cutting wheel. 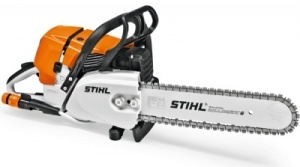 An extremely powerful 5.0 kW cut-off saw that includes STIHL's ElastoStart technology, as well as numerous features to increase operator comfort. 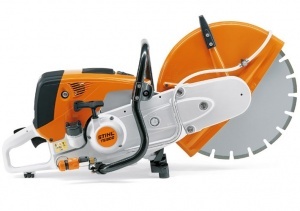 Supplied with a 14 inch / 350 mm cutting wheel. An extremely powerful 5.0 kW 16 inch / 400 mm cut-off saw, with a long-life air filter system, ElastoStart and water attachment as standard. Supplied with abrasive cutting wheel. Handling like a chainsaw but with the power of a cut-off machine, the FS 461 is ideal for cutting concrete, masonry, concrete pipes and ductile cast iron pipes, with a 16 inch cutting length.